A top neurosurgeon who suffocated her own cancer-stricken daughter with a plastic bag has avoided jail despite being found guilty of murder. She was also ordered to seek psychological help. The court in Leuven, a city in the Belgian province of Flemish Brabant, believed that there were mitigating circumstances which caused Didgar to kill her daughter. Judge Peter Hartoch called it "the heaviest and most difficult trial" of his career, but said there were enough reasons to be lenient, including the defendant's "immaculate criminal record and great sense of culpability". 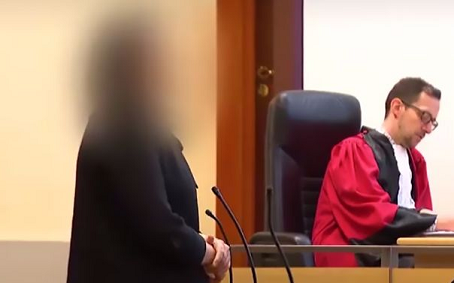 The public prosecutor's office had recommended 26 years in prison while her lawyer Jef Vermassen pleaded for a suspended sentence, saying that "child murder is the only crime committed out of love". Eline was hit by thyroid cancer at the age of seven which reportedly put a huge strain on the girl and was even more evident in her teenage years. Both Eline and her mother were reportedly severely depressed before she decided to take her life to end it all.